various authentic Italian wines in their very own home villages. 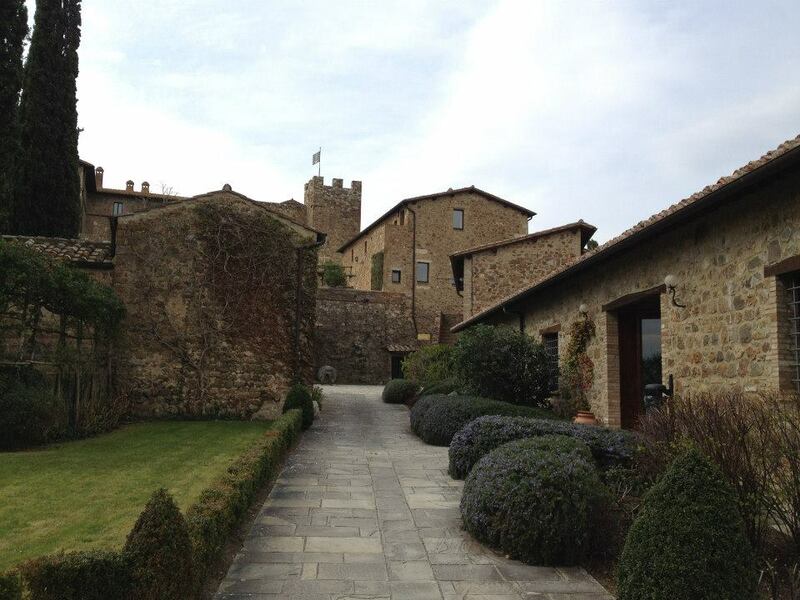 Her favorite was Castello Banfi, home to the vineyards that supply this New York-owned wine company. Giant barrels lined the inside of the winery, filled with wine, gracefully aging before it would be transported to a smaller barrel moved out. Inside the winery, Kristen observed several art installations that complemented the old-age, artistic vibe that the winery exudes. The halls presented mosaics made of broken shards of wine bottles, and promiscuous marble statues that drew a giggle from the students’ inner child. 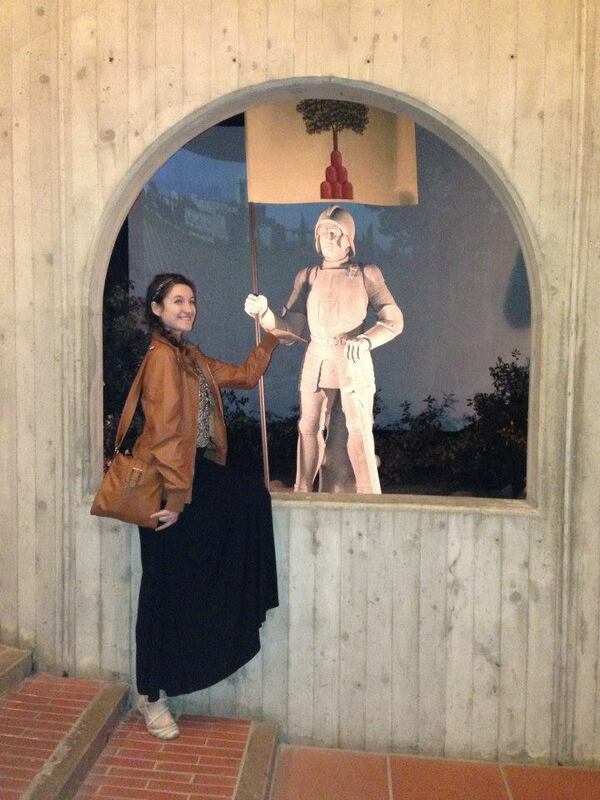 Afterward, the students were led to the Banfi Castle for a six course meal. Yes, I said six course. And each course was served with wine – a full glass of wine. Kristen and her chefs joked about sneaking their food home (wondering how to transport a bowl of soup via purse, for instance) and were – for perhaps the first time – unable to finish all of their wine. But at the end of the day, Kristen found Aurora, and that’s what matters. After touring and dining in the castle, Kristen found a wine reminding her of a favorite Disney princess called Rosa Regale (Royal Rose). So, of course she had to buy it. And thank goodness she did; we’ve since bought several bottles of it in American liquor stores because it’s so good. Made from 100% Brachetto grapes, it’s sweet and fizzy but not heavy on the palate and (at least for me) difficult to savor through small sips because it’s so delicious. The wine has such a unique flavor that it is fabulous on its own but can be paired with food that can hold up to sweeter wines. For example, it makes tomato sauces taste sweeter and compliments spices. 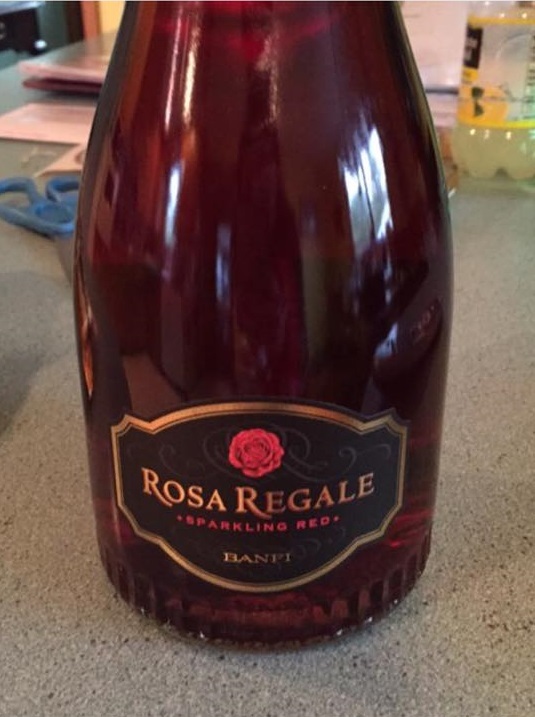 Typically, a bottle of Banfi Rosa Regale goes around $18.00-$22.00 in the US. It is sold in four sizes, from small to large we have 187ml, 375ml, the standard 750ml, and the larger 1.5L. If you click the Rosa Regale link above, the website offers wedding deals, cocktail recipes, many pictures, and even a link to the official Banfi blog.